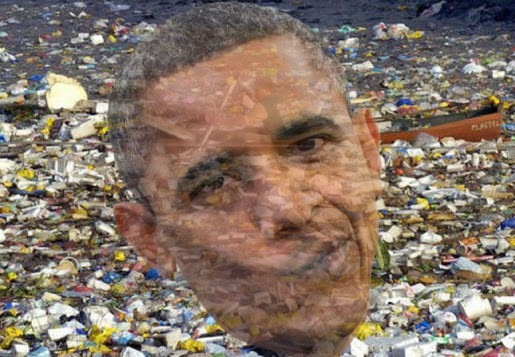 SAN NARCISO, Calif. (Bennington Vale Evening Transcript) -- President Obama once again abused his executive privileges Tuesday by unilaterally issuing a series of measures to close off parts of the ocean, pushing the United States one step closer toward economic ruin and communism. The president’s plan would create marine sanctuaries to protect wide regions of the central Pacific from fishing, oil exploration and waste disposal enterprises. The announcement, opponents say, demonstrates further evidence of Obama’s willingness to exercise his dubious executive powers to take over the world, kill thriving industries and destroy free markets. By putting such a large expanse of ocean off limits, Obama will immediately cripple the fishing industry. Even worse, the ocean sanctuaries will prevent oil companies from drilling. Obama has consistently vowed to end U.S. dependence on foreign oil, yet by shuttering operations in the Pacific, Republicans attest, America will have no choice but to begin purchasing even larger quantities of oil from abroad. Republican leaders assured voters that they would adamantly refuse to sponsor any motions to increase spending for oil produced overseas. They endorsed the wiser, more responsible alternative of starting another armed conflict with a sovereign, oil-rich nation in the Middle East. Apart from the obvious perils of food and oil shortages, however, Olden-Whitely cautioned against another terrible threat facing the United States under Obama’s plan.